Dont blame yourself for your monthly contact lens discomfort, it could be your lenses. As the month goes on, you might be using rewetting drops, taking breaks, or removing your lenses to deal with the discomfort. 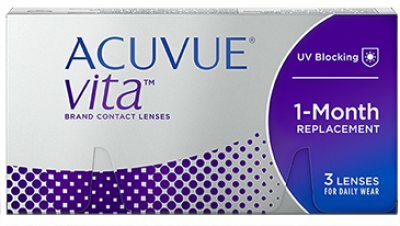 If this sounds familiar, ACUVUE VITA Brand with HydraMax Technology might be the right lenses for you.